Deepwater Horizon oil coming ashore at Chandeleur Islands, LA. Credit: Jeffrey Warren, Grass Roots Mapping project, via Wikimedia Commons. Even minuscule amounts of BP’s crude oil has affected fish in profound ways in the Gulf of Mexico—even when oil in the water was nondetectable. This according to a paper in early view in PNAS (Proceedings of the National Academy of Science). The problems showed up as genetic responses in liver tissue and as aberrant protein expression in gill tissues—and they lived on in fish even after their environment looked and tested clean. 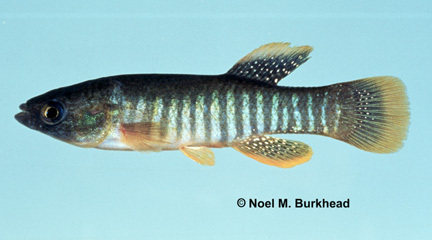 Gulf killifish, Fundulus grandis. Credit: USGS. Researchers from Louisiana State University, Texas State University, and Clemson University studied the 2010 Deepwater Horizon oil catastrophe on Gulf killifish (Fundulus grandis). You can see the sites and a graph of the results at my blog, Deep Blue Home. Gill tissues important for maintaining critical body functions were also damaged by altered protein expression correlated to oil exposure. 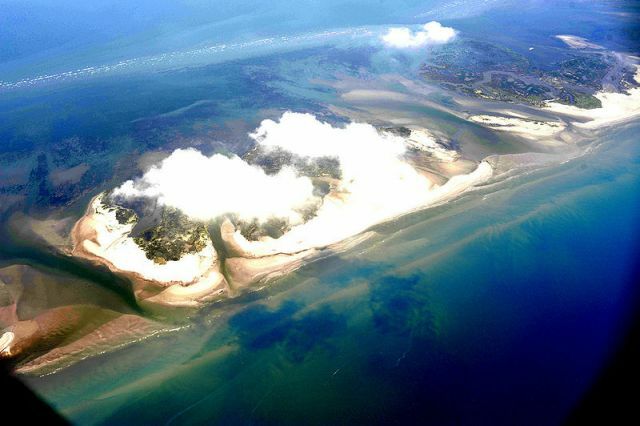 Worse, these effects persisted long after the visible oil disappeared from the marshes. Exposures in the lab to developing embryos induced similar cellular responses. 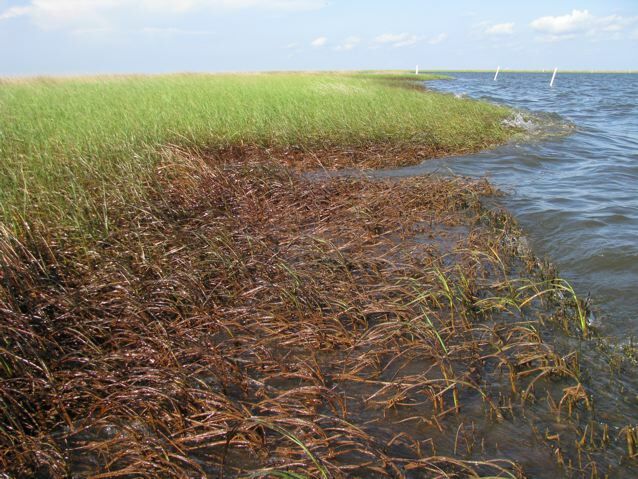 “This is of concern, because early life-stages of many organisms are particularly sensitive to the toxic effects of oil, and because marsh contamination occurred during the spawning season of many important species,” says lead author Andrew Whitehead. 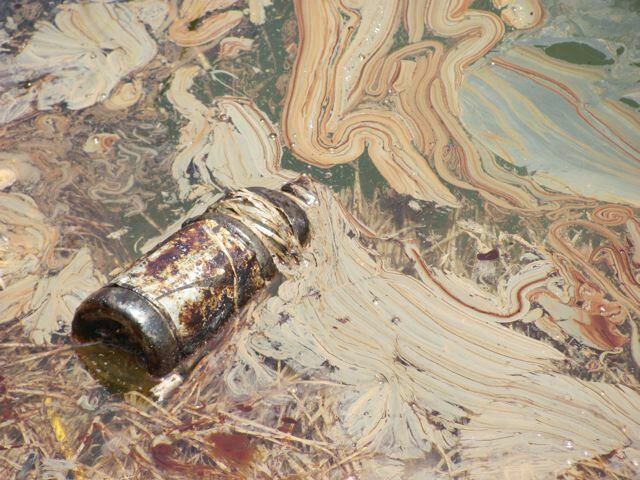 Oiled marshes, Barataria Bay, June 2010. Credit: ©Julia Whitty. The research echoes ongoing studies from the Exxon-Valdez catastrophe showing that sub-lethal biological effects of oil continue to impact herring and salmon populations long after the disaster. The new paper indicates Gulf killifish are suffering similar early sub-lethal effects in the Gulf. And as with the Exxon Valdez, the fish are proving far more sensitive indicators of exposure and contamination than the environmental chemistry. “Though the fish may be ‘safe to eat’ based on low chemical burdens in their tissues, that doesn’t mean that the fish are healthy or that the fish are capable of reproducing normally,” says Andrew Whitehead. Whitehead, A., B. Dubansky, C. Bodinier, T. Garcia, S. Miles, C. Pilley, V. Raghunathan, J. Roach, N. Walker, R. Walter, C.D. Rice, and F. Galvez. Genomic and physiological footprint of the Deepwater Horizon oil spill on resident marsh fishes. Proceedings of the National Academy of Sciences. DOI:10.1073/pnas.1109545108.